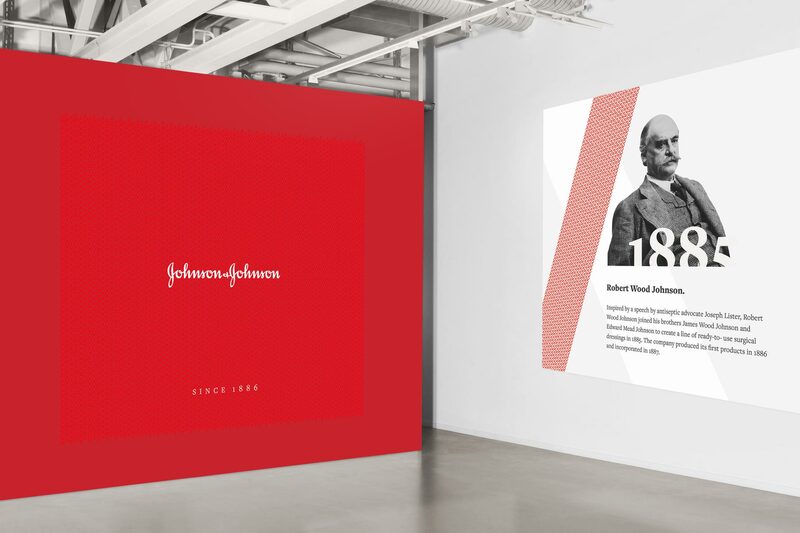 In preparation of Johnson & Johnson’s 130 year anniversary, and the opening of their state of the art museum, we were tasked with this exciting Heritage Identity project. 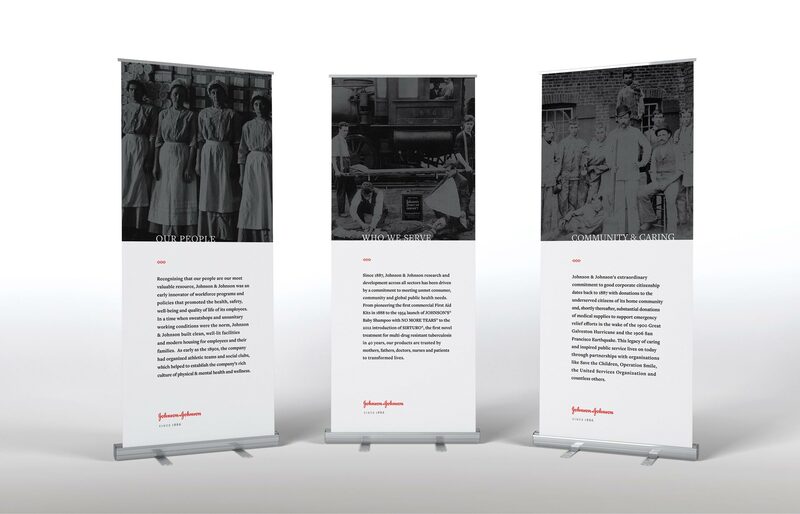 The idea was to create an appropriately differentiated sub-brand for J&J, to bring awareness to the past and inspire audiences to be pivotal in shaping J&J’s future. 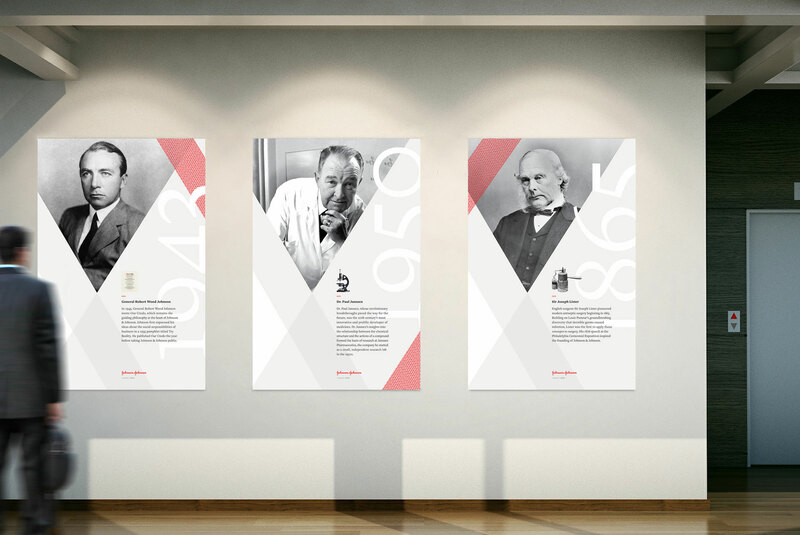 Together with J&J Design team we have built a sub-brand with inspirational, long-lasting and innovative personality. 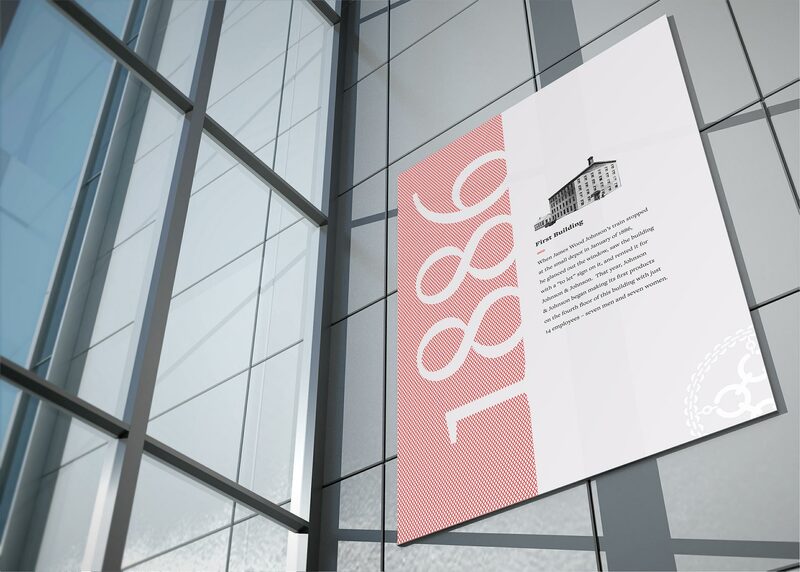 Through visual language we expressed some of the accomplishments this astonishing company has delivered since its humble beginnings of 1886. 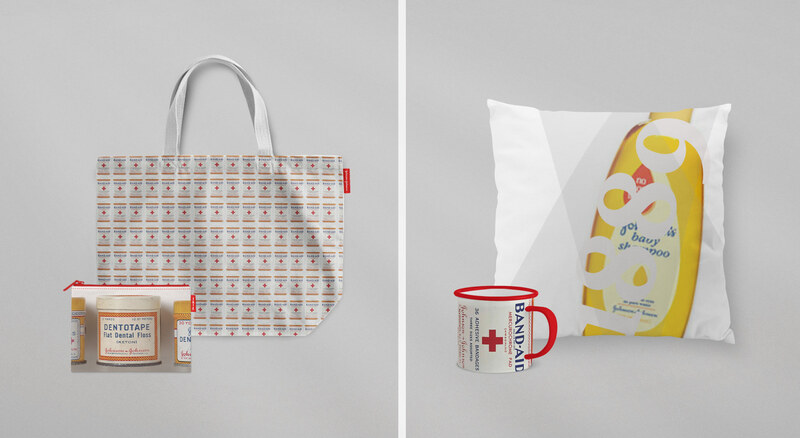 We have created a tool kit with an array of assets, such as logo treatments, patterns, a presentation template and merchandise concepts. 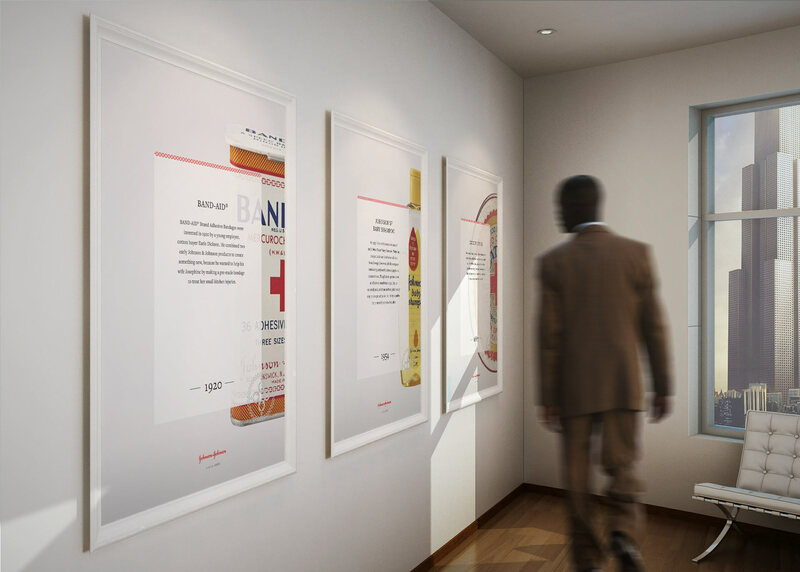 In addition we have designed a series of posters, invitations and banners. Deliverables also included wall and window graphic treatments for special events.